Thanksgiving is almost here and after that it’s time for what most shoppers are waiting for – the Black Friday Sale! This year, Fiio announced several Black Friday sales in US, offering up to 21% off on some of their audio products. 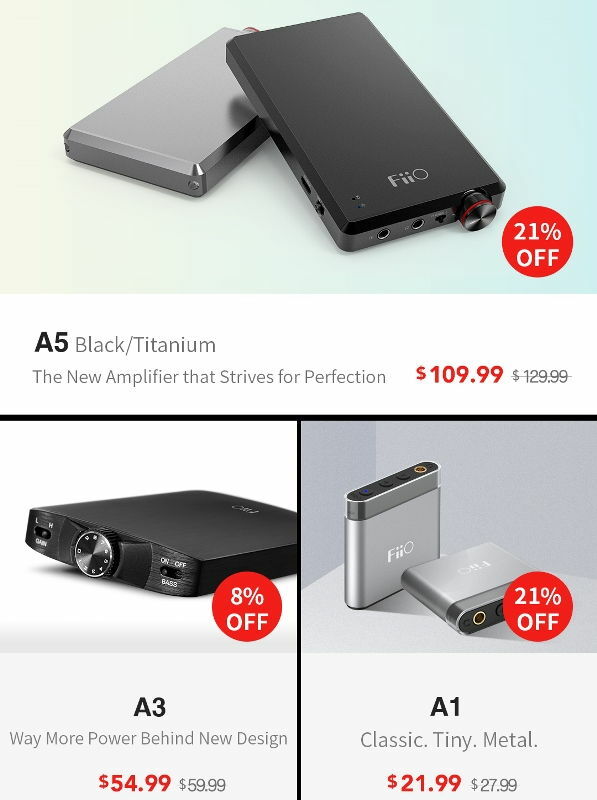 Fiio’s first Black Friday sale promo will start on November 24 and will end on December 3. Another promo will also start on November 24 up to December 26 and this time it will be via Amazon. Check out more details below. 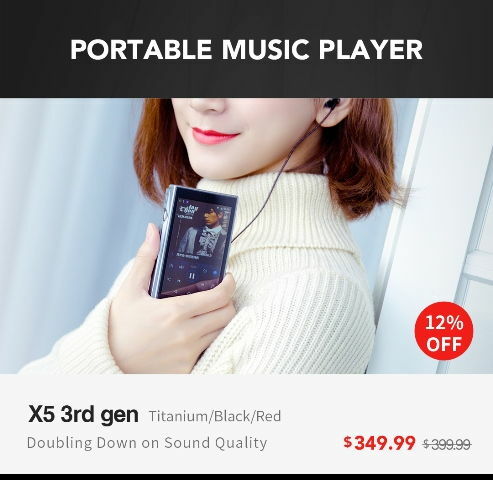 For the first round of promotion, the following Fiio products are discounted: Fiio X5 III DAP, Fiio X1 II DAP, Fiio A5 AMP, Fiio A3 AMP and Fiio A1 AMP. Again, promo period starts on November 24 up to December 3 only. When the time comes, check out the links below. The Fiio X5 III DAP is the company’s latest mid-range portable audio player. It features two AK4480EN DAC chip and runs on Android 5.1 operating system. You can read our review of the Fiio X5 III DAP here. Meanwhile, the Fiio X1 II is the company’s latest version of their entry level DAP. 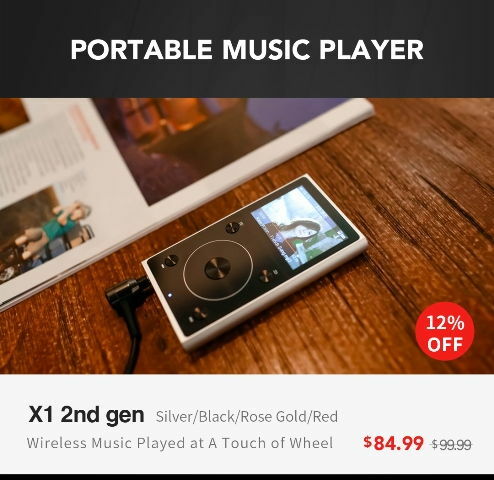 It’s a basic portable audio player that can play lossless audio formats. You can check out our review of the Fiio X1 II here. The Fiio A5, A3 and A1 are the company’s portable amplifiers designed for IEMs and full sized headphones. Basically speaking, the A1 is their entry level portable amplifier, followed by the A3 then the A5. The A5 is the higher end among the three portable AMPs; with more power, longer battery life and overall better quality. However, the A3 seems to be the more popular choice due to its affordability and price/performance. For the second promotion, Fiio is offering 15% off on their F5 balanced in-ear monitor. The Fiio F5 IEM features Aerospace Titanium Diaphragm and comes with an MSRP of $64.99. Its discounted price will be $54.99 and will be available via Amazon.com here. So far, only the above mentioned products will have discounts during the Fiio Black Friday sale. But who knows, other retailers or online shops may offer discounts on other Fiio products as well. Below are some of Fiio’s products that are worth checking out during this season.